After the dismal performance of investment markets in 2018, investors cannot be blamed for feeling anxious. We have experienced one of the worst 5-year periods in the local equity market, going back 25 years. At the same time, cash provided investors with a safe return of 6.8% over the last year, and an average return of 6.5% over the last 5 years. The uncertainty of what investment markets will do in the next few years, and the safety of money market investments, raises the question for many investors: Should I stay, or should I go? In evaluating past performance, it is important not to fall into the trap of the so-called recency bias. Human beings tend to put more emphasis on what happened most recently, extrapolating this into the future. It is therefore important to create context with regards to investment performance. The graph below shows the returns of the different asset classes over the last 10, 5, 3 and 1 years. Although money market investments and bonds delivered the best returns over the last 1 to 3 years, it shows the importance of other asset classes like equities, property and offshore assets in providing investors with longer-term inflation-beating returns. "The investor of today does not profit from yesterday’s growth." Over 5- and 10-year periods various asset classes outperformed money market investments. 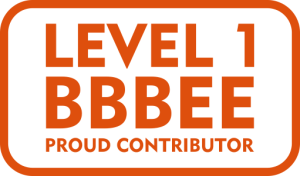 Over the last 5 years, offshore investments delivered the best returns, whilst local equity and property investments contributed good returns over a 10-year period. 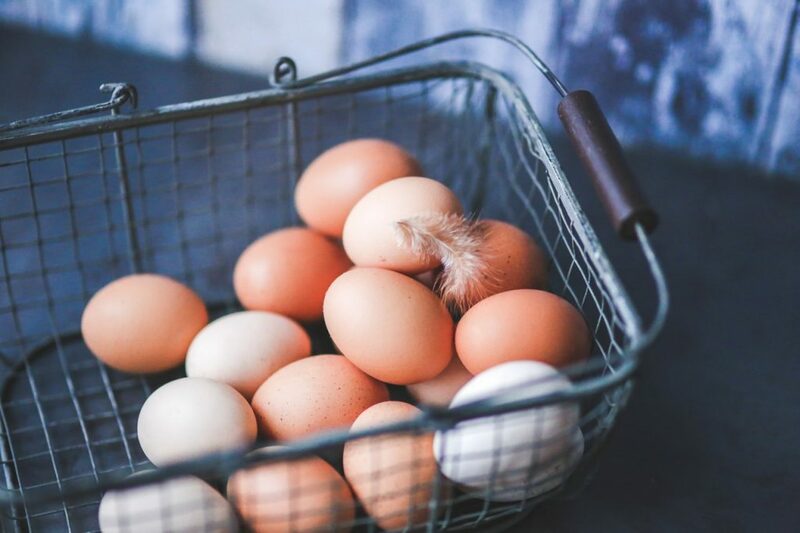 Proof - don’t keep all your eggs in one basket! The low and medium equity portfolios in the graph above, both delivered returns that beat money market instruments over investment terms 5 years and longer. This shows how important it is to have a well-diversified basket of assets in one’s portfolio. 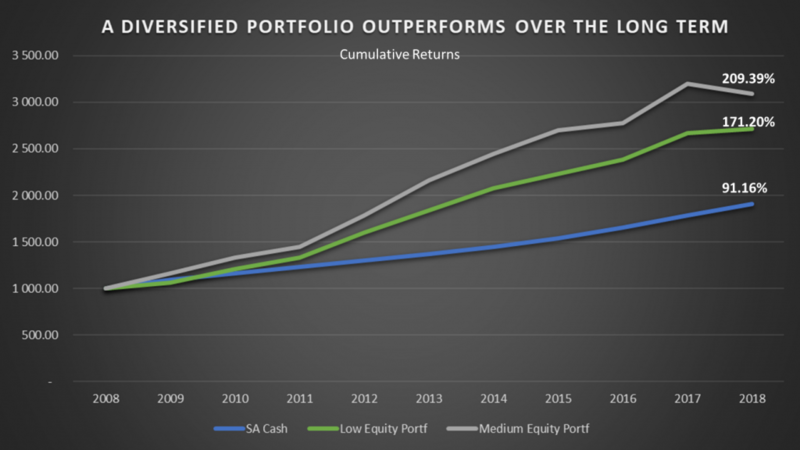 If one held a low or medium equity multi-asset portfolio over the last 10 years, the portfolio would have outperformed cash by 41.89% and 61.85% respectively. The above graph indicates that, over the last 10 years, a medium equity portfolio would have given the investor a return of 209.39% while a low equity portfolio would have returned 171.20%. During the same period, a money market investment would have provided the investor with a return of 91.16%. This takes into account the dismal performance of the equity markets in 2008 and the bad performance over the last few years. This proves that investors were much better off holding a portfolio diversified between different asset classes. 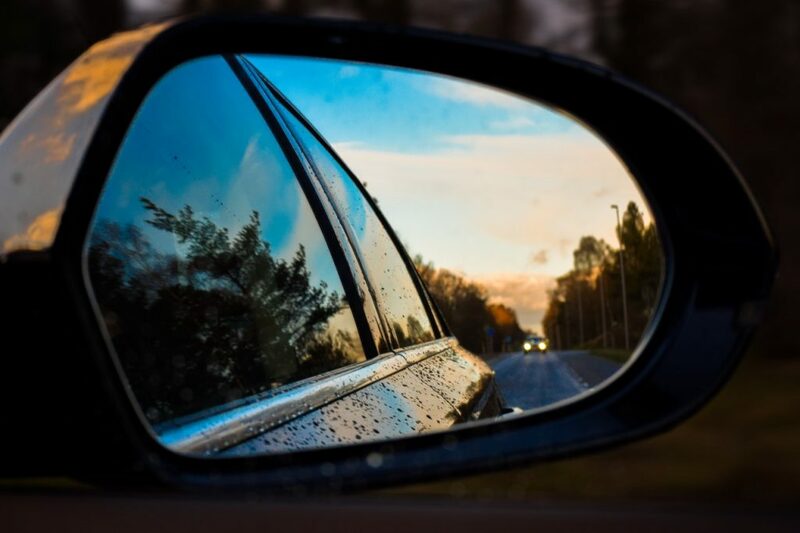 Unfortunately, just like driving a car, investment decisions cannot be made looking in the rear-view mirror and therefore one cannot help but wonder; What does the future hold? 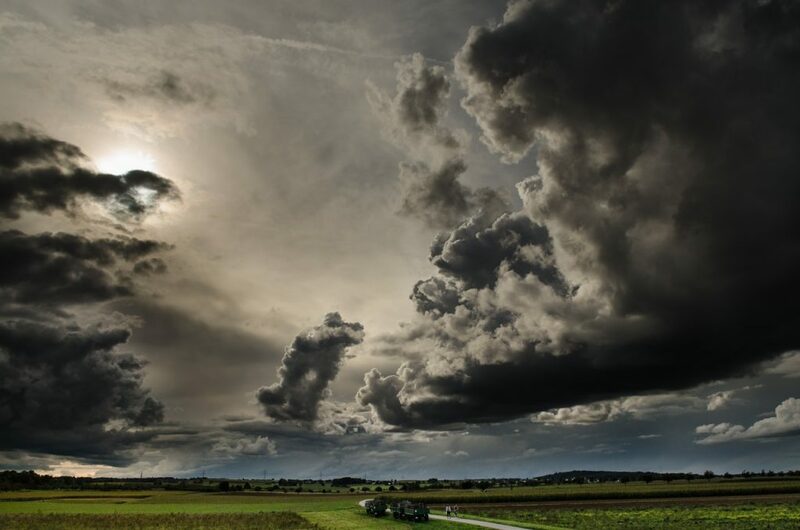 Although there are many geopolitical risks like trade wars, Brexit and the South African election that could potentially derail any investment strategy in the short term, the consensus is that the world economy is still in an expansionary phase and is expected to grow by 3.5% in 2019 (IMF 21 Jan 2019). Some of the key factors to keep an eye on this year will be the economic trends of the world’s two largest economies. The US is expected to keep growing above the long-term average in 2019, and the Chinese government has taken steps to stimulate its economy and boost economic growth. These include a lowering of interest rates, tax cuts and infrastructure spending, which is expected to enhance economic growth substantially in 2019. The central banks of the world have also taken proactive steps to contain inflation and the consensus is that interest rates will stabilise over the next year. These factors could all support the investment markets in 2019. After the pullback in the second half of 2018, the investment markets are priced as if the world will go into a recession, and for a negative outcome on trade negotiations between the US and China. Any hint of economic growth above expectations and a positive or neutral outcome on the trade negotiations will also be positive for investment markets. Valuations of equities and property shares are also positive. Although companies worldwide were able to grow their profits over the last few years, their share prices retracted and currently present good value. Companies like British American Tobacco, Naspers, Aspen and many others are trading at half their price-to-earnings (P/E) compared to three years ago. Although there are many risk factors that could have a negative impact on markets over the coming years, it will not take a lot to ensure a positive outcome in the investment markets, given the expectations for economic growth and attractive valuations of equities and property both locally and globally. 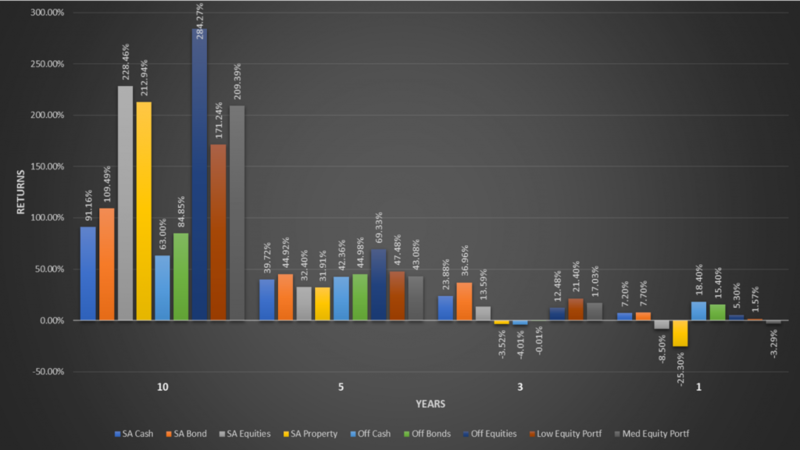 That is why many of the leading asset managers in South Africa are expecting returns of between 9 and 12% per annum from equities and property over the next decade. Investment decisions should not be made based on emotion. Research shows that more value is destroyed by investors moving in and out of investment markets at the wrong time than by any other factor. At the same time, it is impossible to predict the future. So, what is an investor to do? The answer is to build an ark. Make sure that the investment strategy is based on time tested investment principles and then stick to the strategy. One such principle is to ensure that the portfolio is constructed appropriately for the investment horizon. Money that is needed in the near future should be invested in lower risk asset classes with more predictable returns whilst portfolios with investment horizons of 5 years and longer should have sufficient growth assets to protect the capital against long-term inflation. There is a saying amongst the investment fraternity that the only free lunch is diversification. This principle serves to manage risk. Risk is reduced by ensuring that the portfolio is well diversified between different asset classes and geographical areas. Implementing the investment strategy by using a range of funds with different styles and investment views also contribute to reducing risk. Another important investment principle is to make sure that the portfolio is invested in assets that offer value. This ensures that, over time, there is a high probability of getting a good return. Investors should take care in times of uncertainty not to make decisions based on emotion and fear. 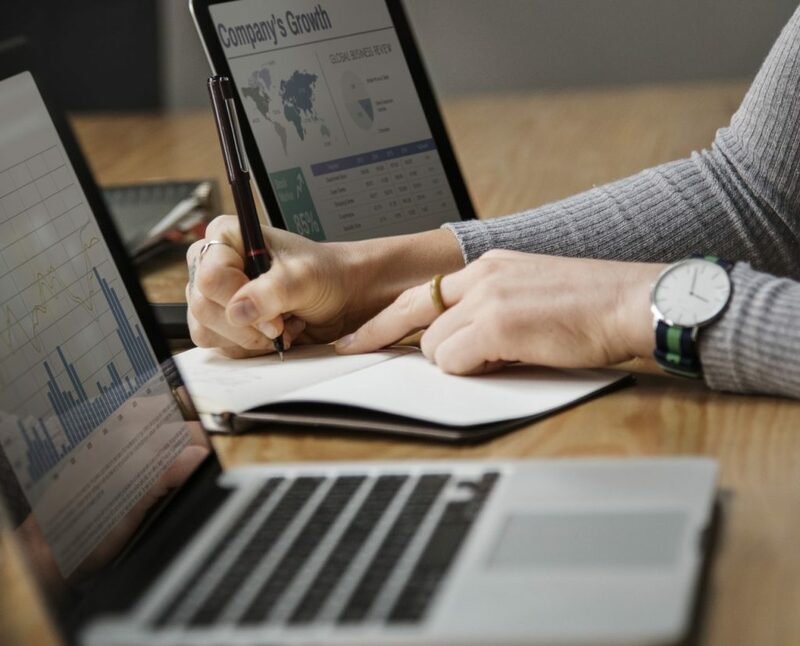 The best chance of achieving long term investment success is to ensure your portfolio is designed based on sound, time tested investment principles, and then not to allow the short-term noise to derail the strategy.